On Tuesday January 15, 2019 Sorama celebrated the Grand Opening of the new office at Strijp T (Building TQ3 - second floor) at Achtseweg Zuid 153H in Eindhoven, The Netherlands. 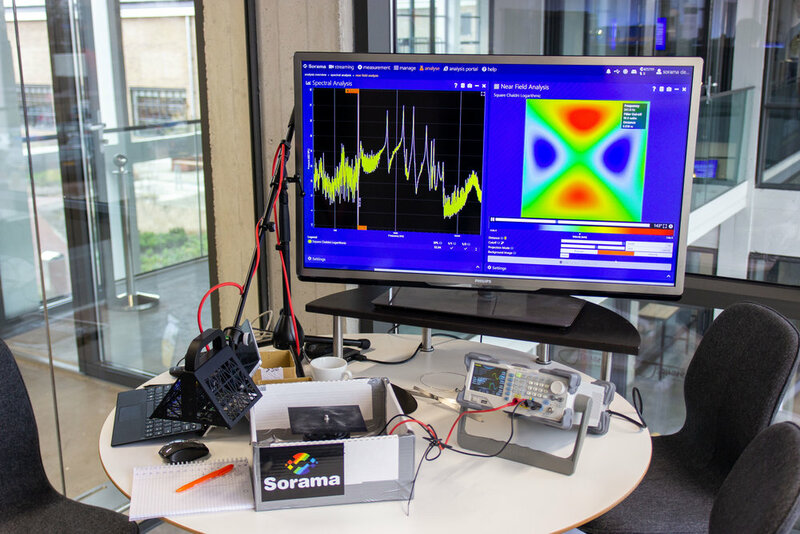 A themed afternoon session named 'Sound Insight before Action' was organised with multiple guest speakers and various demonstrations of the Sorama technology. Approximately 40 people enjoyed presentations by Prof. Dr. Henk Nijmeijer and Prof. Dr. Armin Kohlrausch (both TUe), Ir. Ivo Jansen and Ir. Ronald Meijers (both Sorama consultants) and Dr. Ir. Rick Scholte (Founder and CEO of Sorama). 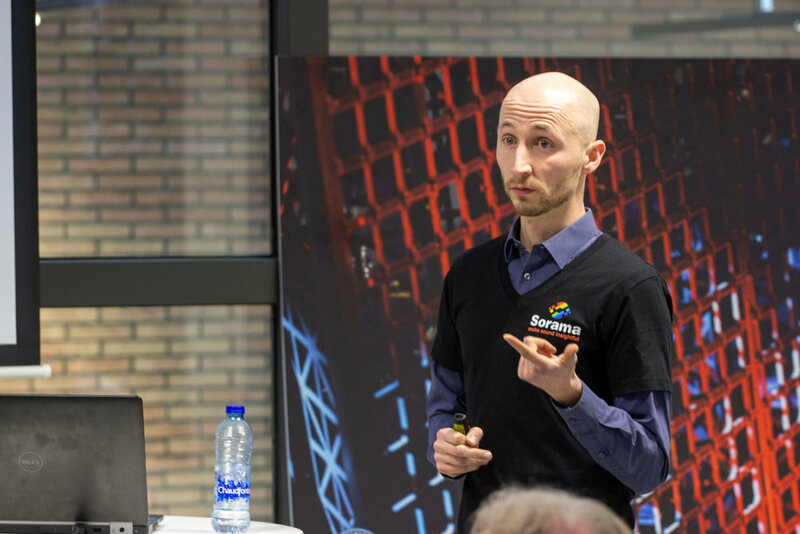 Aerodynamic Engineer Robin Pul from Vostermans Ventilation shared the results gained with the Sorama Cam that improved the aerodynamic noise of their product. 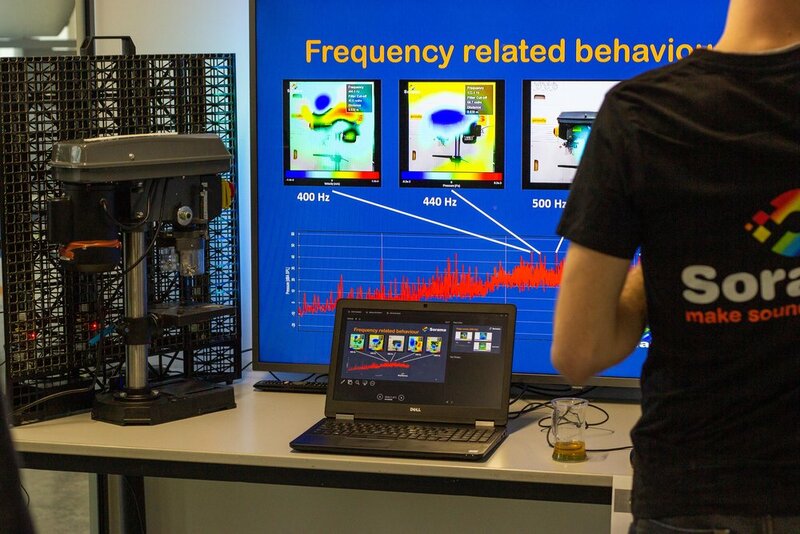 Interactive demonstrations were organised in between the presentations to explain the behavior of structural noise, airborne noise, the human perception and interesting use cases. We’ll be organizing these events on a regular basis. If you’re interested and like to join our next seminar event, click below to get a notification when the next seminar event is scheduled.